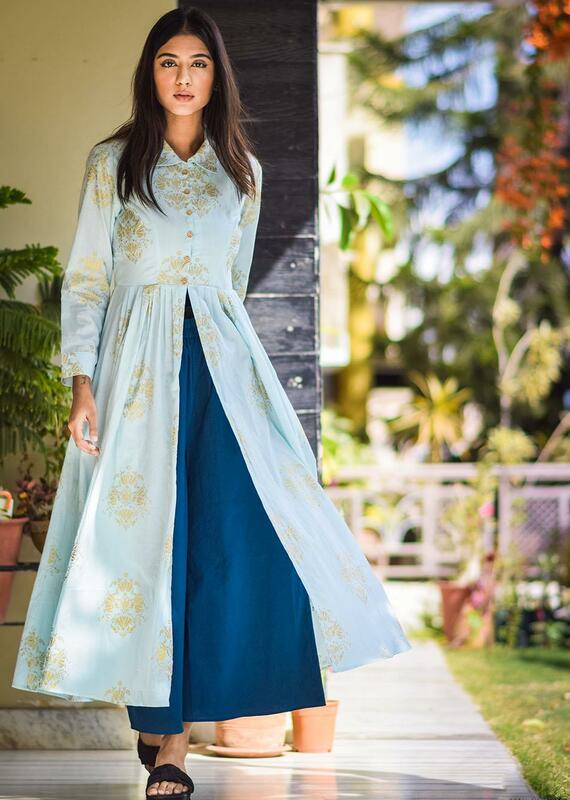 Following the tones of blue, this set of kurta palazzo is stormy yet calm. The golden block prints on the kurta steal the show while the royal blue palazzo peeping from the cut beneath shouts of the style. It is a stunning, “not to miss” outfit. 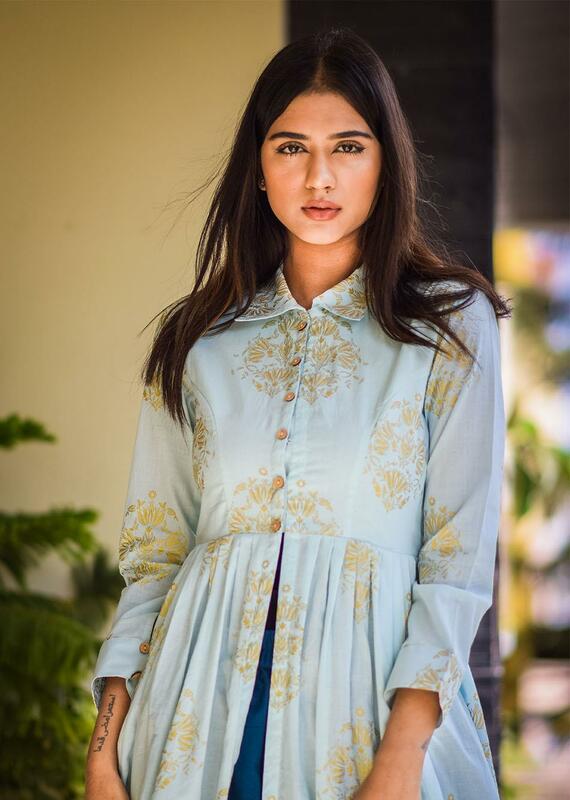 The buttons of the sky blue kurta are kept till stomach, there is an elegant princess cut with a proper collar, and there are gathers around the waist, all contributing to a modish look.